We can be your guide. Because Bowles Builds Better Basements! Basement remodeling is a big investment, and it’s important to make a well-informed decision when it comes to choosing a basement contractor. Basement Builders is fully insured, licensed, and has the experience to deliver quality finished basements. We specialize in basement designing, basement finishing, and basement remodeling basements in Milwaukee, WI and surrounding areas. A finished basement can be a real asset to your home’s long-term equity and provide functional new living space for your family to enjoy. Entertainment areas and playrooms are perfect solutions for growing families. Home offices, exercise rooms, and additional bedrooms are also popular choices for homeowners looking for more usable living space. Whatever your needs are for your basement remodel, Basement Builders can meet your needs with the perfectly remodeled basement. Contact us today to start the basement remodeling process. Bowles Basement Builders, LLC is a basement remodeling contractor based in Shorewood, WI that serves the Greater Milwaukee Area. As an experienced basement finishing contractor, we can handle your complete basement project from start to finish and beyond. Why Build Your Basement With Us? On all of our basement remodels we use top quality materials and provide superior craftsmanship. Don’t let another contractor deliver on price only to fall short on quality remodeling. We always take the time to build the right way and pay extra close attention to every detail. Our design experts will work with you to design every detail to create a space unique to your individual needs. We will plan your perfect basement remodel design from the beginning and take into consideration the many basement finishing options. We will provide constant communication during every basement remodel phase. We will ensure that your basement remodel is exactly what you expect and more. Since basement remodeling is such a sound invest and in high demand, we have a crew that specializes solely in basement finishing. 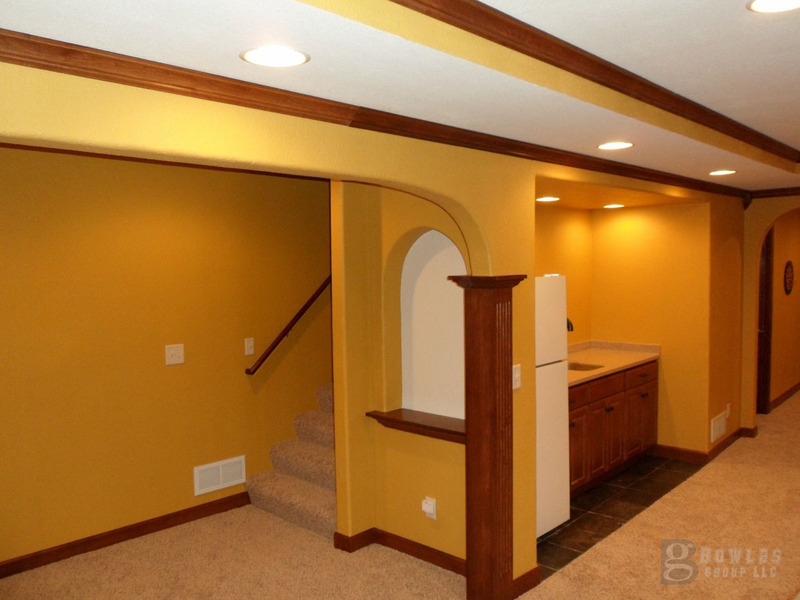 We have done many basement remodels in the Milwaukee area and have basement finishing down to a science. 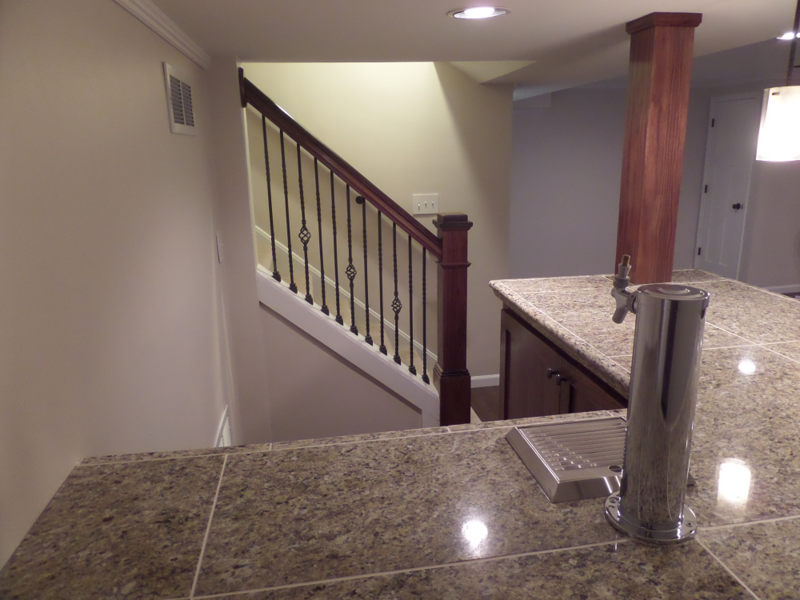 Our experience helps us complete basement remodels that are completed on time and within the project budget. View working examples of basements that we have built in the past. Don’t forget that each basement remodel has their own unique design. Get some inspiration and together we can come up with virtually basement design. Guaranteed Quality Basement Remodeling: Finishing your basement can be a very exciting, yet confusing at the time when trying to find the best basement remodeling company. Everyone has heard a nightmare story about a remodeling project going bad; budgets out of control, projects taking twice as long as promised, contractors nowhere to be found and poor workmanship causing rework. These are just a few of the common fears we hear about. What if you could take the fear out of basement remodeling? At Bowles Basement Builders it is our goal to do just that by providing worry free basement remodeling. We won’t disappoint like some contractors. 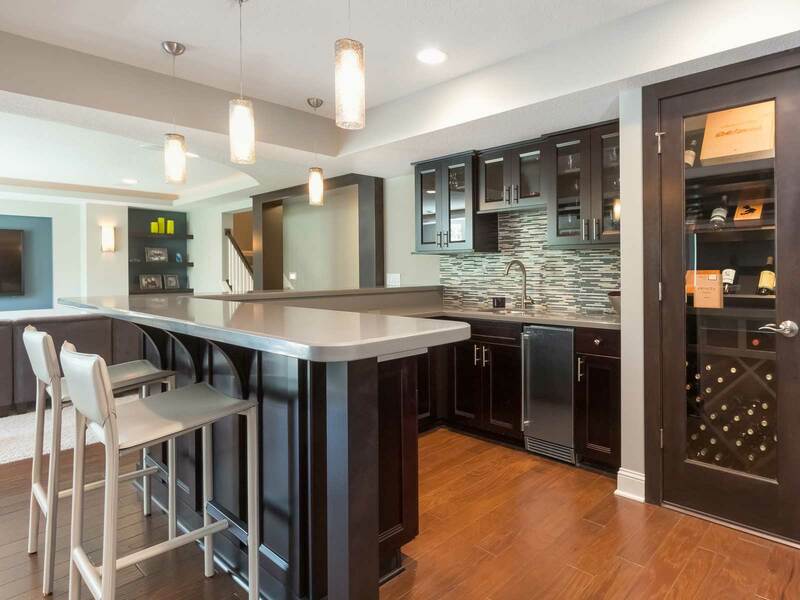 We have provided excellent remodeling services for clients all over the Milwaukee, WI area. Are You Ready For Your New Basement? 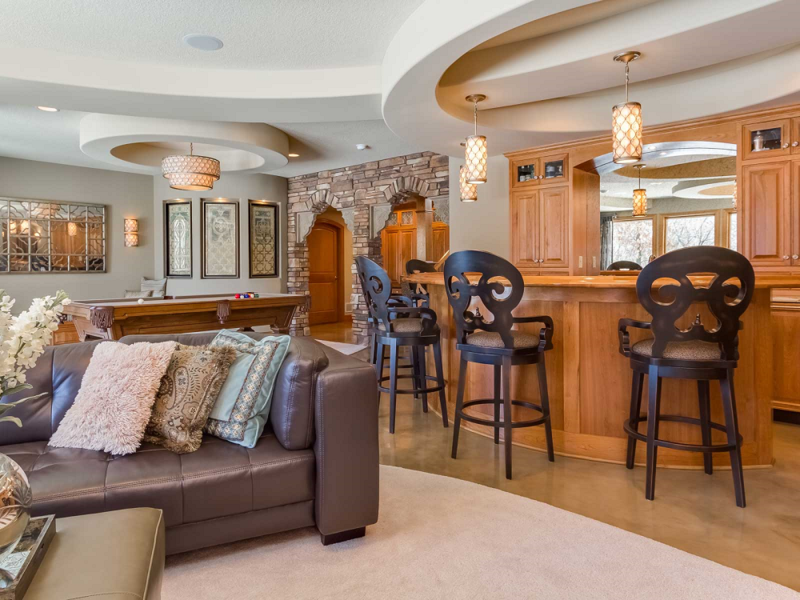 Bowles Basement Builders is a Wisconsin Licensed Contractor that specializes in basement remodeling and basement finishing design. Becuase Bowles Builds Better Basements! Bowles Basement Builders, LLC is a basement remodeling contractor and basement finishing company. 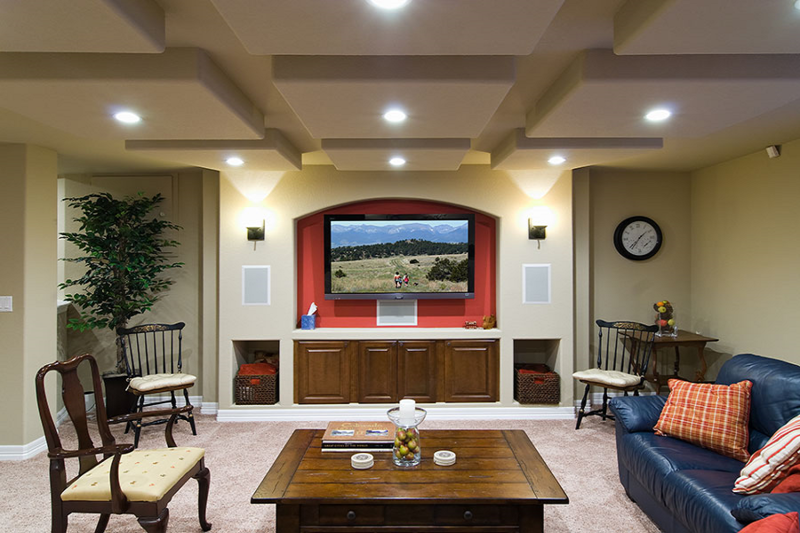 We are a leader in basement remodeling in the Milwaukee, WI Area. Contact us to provide specific detail on your upcoming basement project and our remodeling experts will guide you through the remodeling process.